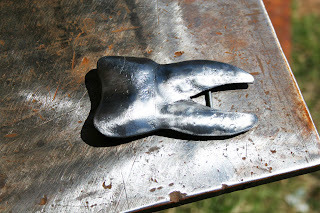 Made for a friend that makes teeth for dentists. I wasn't sure how well this would turn out, but I really like it. 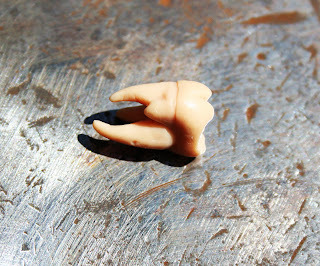 This is the wax mock-up of a customer's tooth that my friend sent me. I used this as "inspiration" for the buckle. Pretty cool huh?